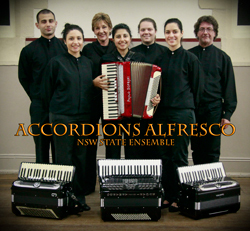 Accordions Alfresco is an ensemble drawn from members of the Accordion Society of Australia (ASA), a community and network for accordionists in Australia for over 40 years. 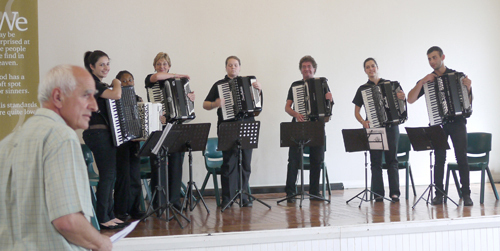 The ASA orchestra/ensemble has toured Austria, Germany, New Zealand and Australia, and this year are competing in Shanghai at the Coupe Mondiale accordion competition. In Sydney they have performed at The Basement, Qirkz, Club Marconi and many other venues.